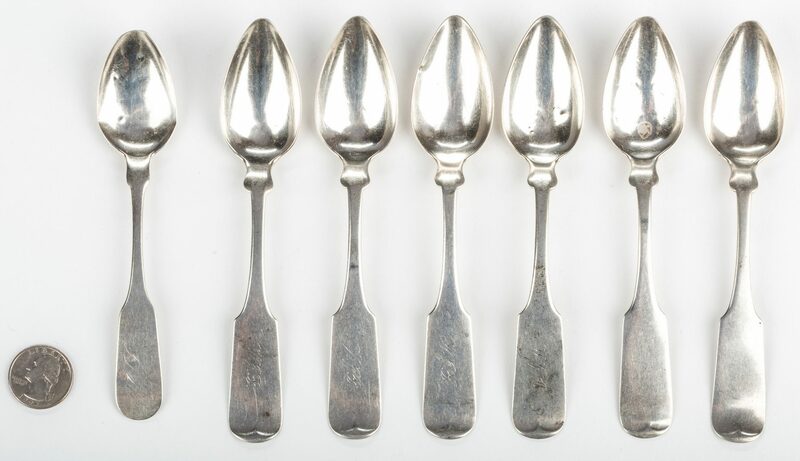 Group of Georgia related coin silver teaspoons, 7 pcs. 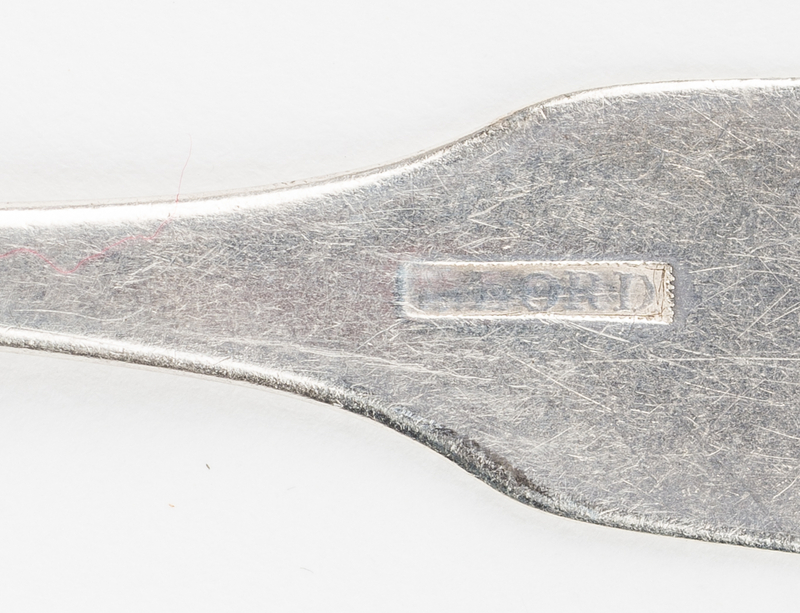 1st item: One teaspoon with fiddle handle marked B. Lord (Benjamin B. Lord, working Rutland, Vermont, 1797, and Athens, Georgia, 1831- d. 1843 ), in rectangle. Monogrammed "GH". 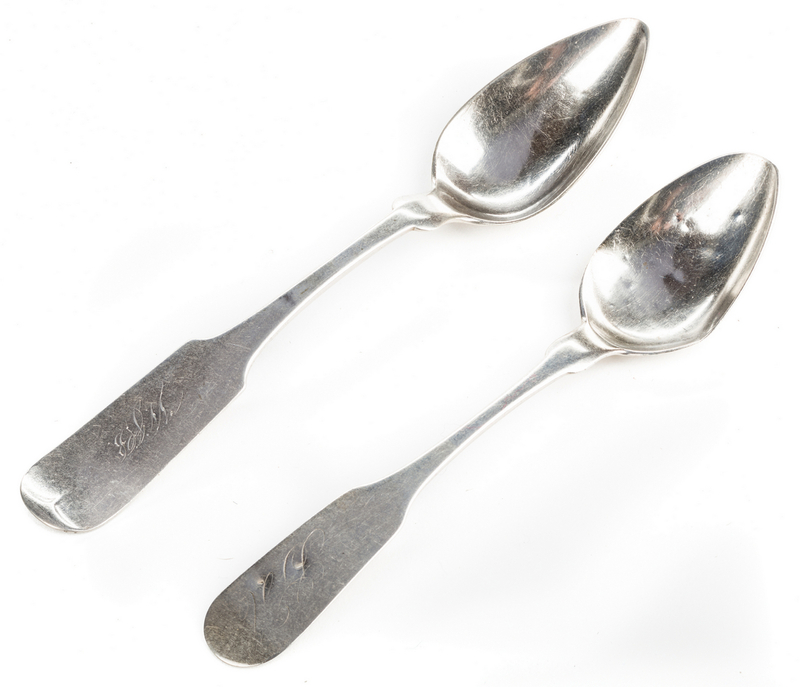 5 3/4" L. 2nd-7th items: Six teaspoons with fiddle-tipt handles marked Foster & Purple Columbus, G.A. (W. Foster and Samuel B. Purple, working Columbus, Georgia, 1844-1845). Four monogrammed "W.J.B.". 6 1/4" L. 5.20 total troy ounces. 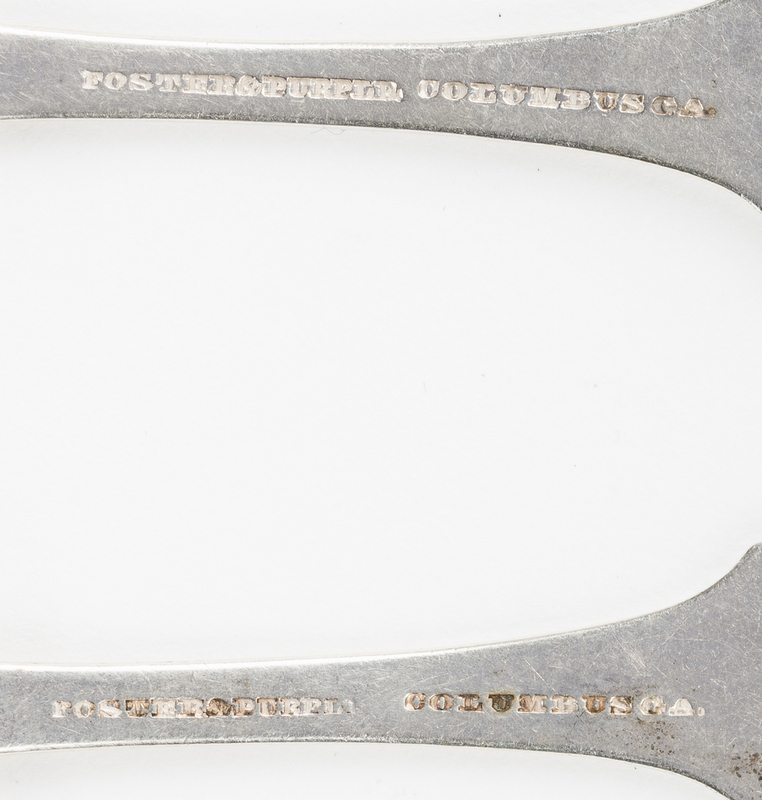 Late 18th/mid 19th century. Private Florida collection. CONDITION: Overall very good condition. Most pieces show wear consistent with use. 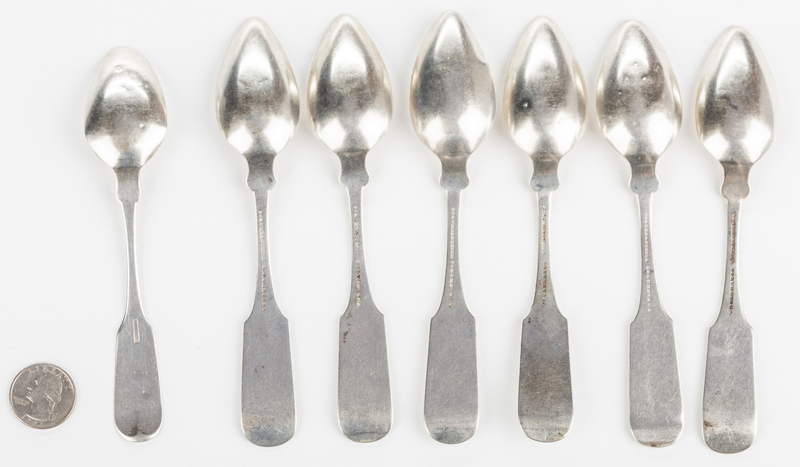 Five teaspoons, including B. Lord spoon with damage to bowl. Most monogrammed.